Yoga began thousands of years ago as a practice of stilling the mind with the ultimate goal of reaching spiritual enlightenment. In the Yoga Sutras texts (written around 400CE by Patanjali, sometimes known as the father of yoga), yoga consists of an eight limbed path, and asanas (or physical postures) are one step along that path towards living a healthy, meaningful and purposeful life. The yoga we know in the West focuses on this physical aspect of yoga practice and helps us to develop the habit of discipline and the ability to concentrate. In the same way that there are different types of martial arts, there are lots of different types or schools of yoga. Hatha Yoga is the most traditional form, from which most of the other schools have developed. Some of the other more popular types are: Vinyasa (or flow), Power and Ashtanga yoga which use the same postures as in Hatha but in faster moving sequences so tend to be more physically demanding; Iyengar yoga uses lots of props and focuses on alignment; and Bikram yoga which is taught in a heated room. 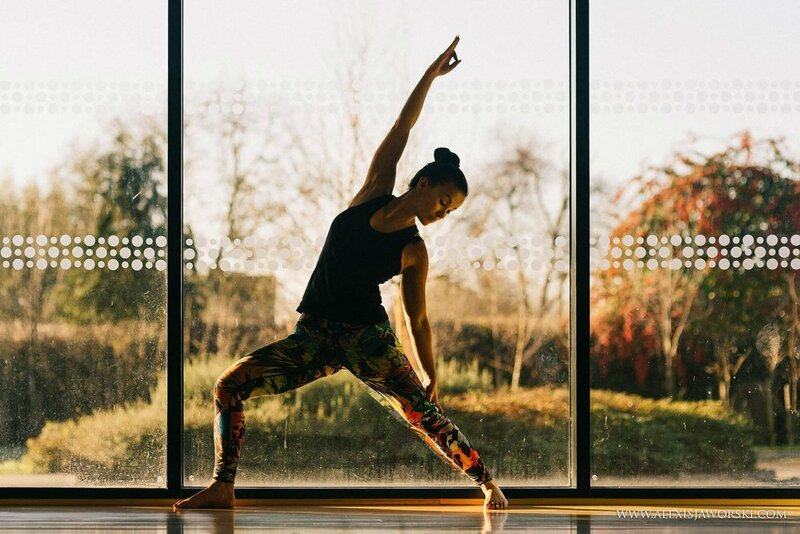 Our classes will be based on traditional Hatha Yoga Flow with flowing sequences designed to stretch, strengthen and relax your mind, body and spirit. With a dedicated and regular practice, you can expect to see improvement in your flexibility, strength, posture balance and body alignment. Yoga postures also have long term benefits for your internal systems, including breathing, circulation, digestion, immune system and metabolism. Yoga is a relaxing and calming practice which has been proven to reduce the effects of stress and improves focus and concentration. It can improve sleep and can help with depression and anxiety. Suitable for complete beginners. No experience or flexibility needed. All ages over 13.